Tonight is the night! The costumes are ready and the kids have laid them out at the foot of their beds. We will be trick-or-treating with Maleficent, Doc McStuffins, A French Artist, Steve Jobs, and a little 10 month old flower. The kids are excited, and I am still in awe that it is the end of October. Twice a month I have the chance to post over at TheIdeaRoom.net. If you haven't stopped by, you MUST. Amy has the most amazing, fun, projects, Printables, holiday fun on the net. Plus, she is one of the most amazing women I have met. 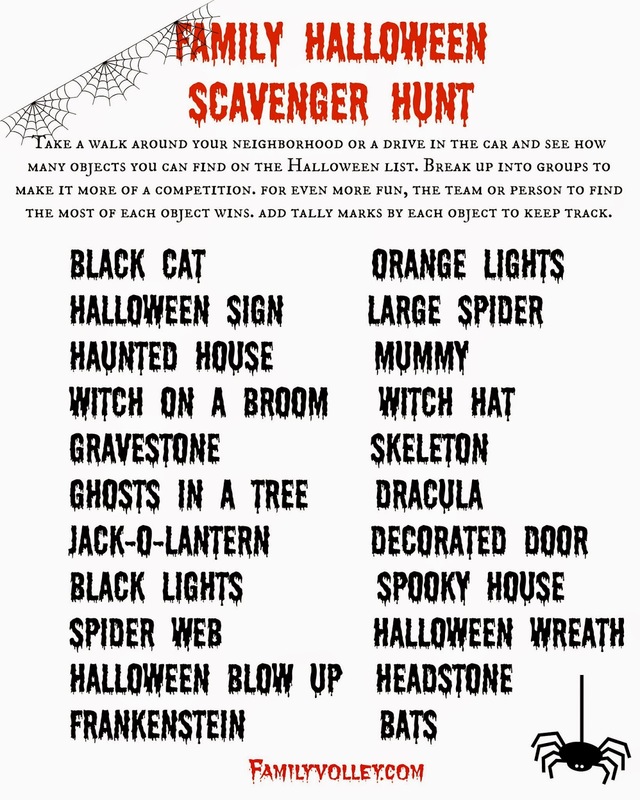 This Week I shared a Family Halloween Scavenger Hunt with her readers. I know it is something your family will love to. Simply print it out and take it with you as you go trick or treating tonight. Your whole family will love it! We are going to use it for our 3 year old, who will trick or treat, but likes to take her time, and will ask to get in the stroller after about an hour. It will be around that time that she is looking for something to do, and this Scavenger Hunt will be the perfect way to keep her occupied will her older siblings keep knocking doors. I hope you and your family can use it tonight also. Tell me, who are you trick-or-treating with tonight? This Scavenger Hunt was so fun! The kids had a great time! Fun idea! I'll have to remember it next Halloween! The right to education act encourages each and every individual to educate themselves and many unprivileged get to realize their dream. But a large number of children pass out of school without any proper education due to the inefficiency of teachers. Teachers due to lack of proper training fall short of knowledge and proper skills that hampers the career of students. Scavenging is each a carnivorous and a herbivorous students to write my dissertation feeding behavior wherein the scavenger feeds on useless animal and plant fabric found in its habitat. The consuming of carrion from the same species is known as cannibalism. I recognize it's far something your own family will like too, Academic Dissertation Help UK virtually print it out and take it with you as you cross trick or treating this night. Your whole circle of relatives will love it!